There’s never a dull moment with Elephant Man. With a seemingly inexhaustible energy source, he throws himself into everything he does: whether its playing football, deejaying on the corner or in front of 10,000 screaming concert goers – Elephant Man does it with abandon. Formerly of the Scare Dem Crew, Elephant oozes individuality from his trademark yellow-orange hair, to his custom designed ride, his outlandish jewellery and a stew of signature utterances – “You know how we roll”! On stage Elephant is a whirlwind of activity: launching himself high into the air, climbing monitors and running from stage side to stage side in an attempt to express himself to his people. To hear Elephant describe it “its like a pent up energy weh mi have and mi wah express it to the people”. His energy he describes as a “part of his gift”: it is what allows him not only to give total satisfaction on stage but is translated through every line he deejays – coming through the airwaves, through the airwaves, through dancehall, into the body of the listener. Dancehall night at ReggaeSumfest ’98 was a particularly electrifying night when Elephant climbed onto the television crane – because he felt it would give him a ‘sweet, jolly, ride’ – performing high above the audience without missing a beat. Even the other members of Scare Dem looked on in awe! Dubbed dumbo Elephant – supposedly for having larger than average ears like the Disney character – by member ‘Crack Scull’ at the age of 13, the name stuck with him until manhood when it evolved into Elephant Man. It was ‘Crack Scull’ who first took him to his studio in Seaview and encouraged him to make good use of the talents that were heard on the street corners and while hanging out at gates of other studios. Elephant Man had already discovered his talent at the age of 15 when he used to use school desks to beat out rhythms and rhymes to go along with them, when he determined that deejaying would be his ticket to success. Despite threats from his mother, who preferred him to ‘go look work’, Elephant persevered because of a conviction that deejaying was “his aim”. It is Bounty Killer however that Elephant credits with launching his career, Killer who was already riding high with his own career encouraged four fellow performers to harness their individual talents into one entity; single handedly creating the new phenomenon. Elephant Man, along with Boom Dandimite, Harry Toddler and Nitty Kutchie were first called the Seaview family but were renamed after the release of Killa’s tune ‘Big Guns Scare Dem’. Scare Dem Crew quickly became a force to reckon with: tearing up dancehalls with staccato dee-jaying styles punctuated by the smooth sound of singer Nitty Kutchie. 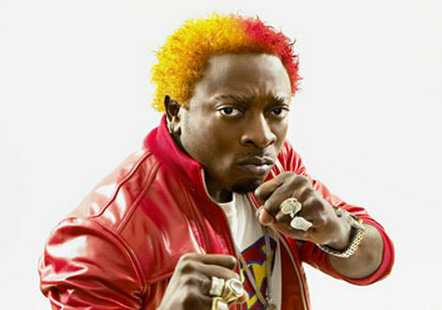 Elephant Man has had an enviable career: appearing on every major show in the Caribbean, Europe and the Americas as a part of the Scare Dem Crew and is now ready to offer the same opportunity to younger artists by producing and mentoring – which he says is a way of developing the music and assuring his longevity in the business. 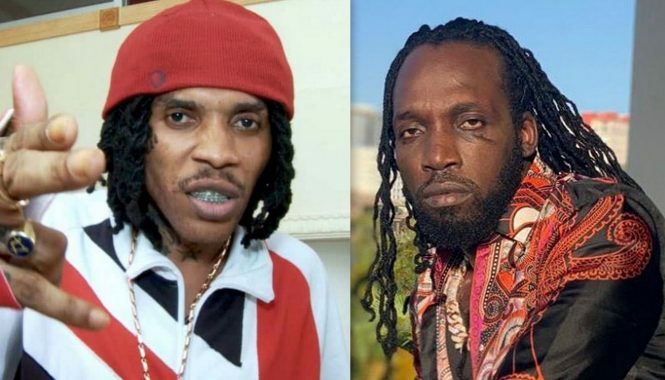 Elephant recounts when he was just starting out, “Bounty say it a go hard fi one-one man bus out fi we come together den a bigger tings” – a philosophy which he plans to employ to develop talent around him. It’s hard to forget Elephant, who at 24 has left an indelible mark in the dancehall community. Elephant’s recent solo efforts have netted him huge ratings and ‘Log On’ and ‘Showdown’ will ensure his meteoric climb to fame will continue.